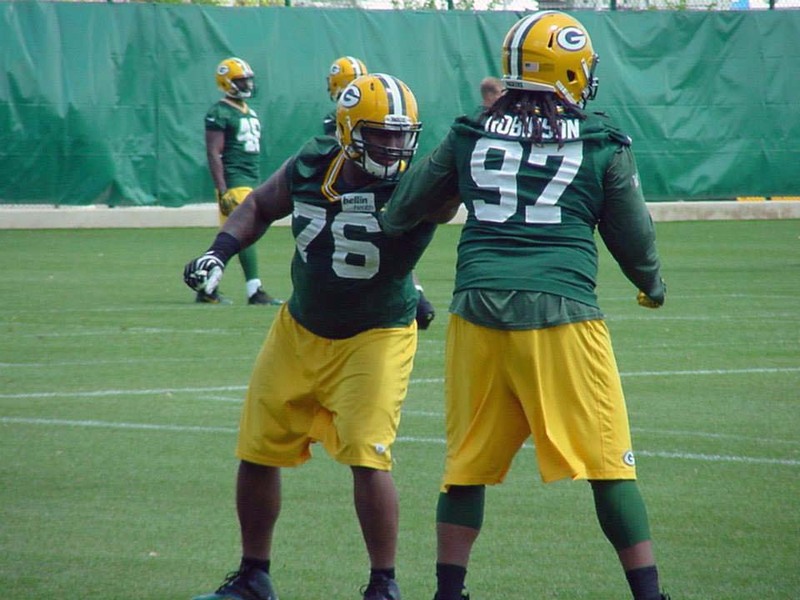 Green Bay Packers defensive lineman Mike Daniels is taking it upon himself to motivate the other young defensive lineman on the team. He has been extra boisterous during the first week of training camp, making sure his teammates know he means business. In what appeared to be a calculated move, Daniels got into a scuffle with offensive lineman Don Barclay on the fourth play of the first full-contact drill during Thursday’s padded practice. Many of his teammates knew it would be Daniels that would likely blow up first and expect to see and hear more from Daniels before training camp ends. 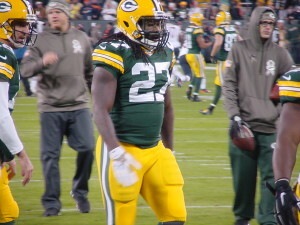 Running back Eddie Lacy joined his teammates for the start of the Green Bay Packers offseason program on Monday. According to some of his teammates, he did so quite a bit lighter than the last time they saw him. 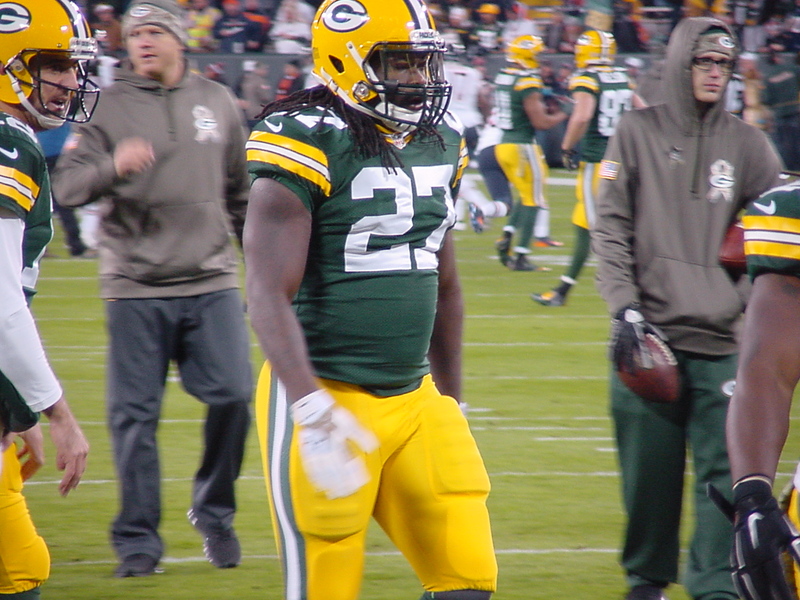 After Mike McCarthy called out Lacy for his weight at the end of last season, Lacy took to P90X, training with the program’s founder Tony Horton in Wyoming and California this offseason. The Green Bay Packers have been awarded two fourth-round compensatory draft picks in the upcoming NFL Draft. 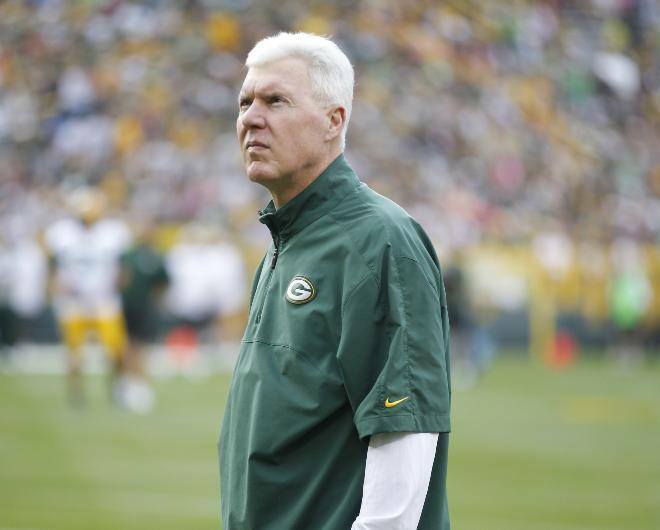 The Packers will have the 131st and 137th picks in the fourth-round. Along with the 125th selection, which was their own, the Packers will have three selections in the fourth round. The two compensatory picks can’t be traded, but that will change in 2017. The compensatory selections come after the packers lost cornerbacks Tramon Williams and Davon House in free agency. Williams signed with Cleveland and House in Jacksonville. Under general manager Ted Thompson, the Packers have received 15 compensatory picks. The best use of those picks came with defensive end Mike Daniels in 2012 and guard Josh Sitton in 2008. The Green Bay Packers have now secured two of their talented defensive lineman before the start of free agency. 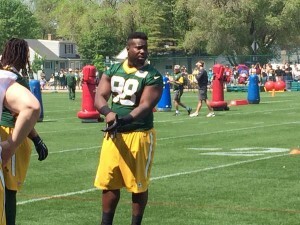 After signing Mike Daniels to a four-year, $41 million extension during the season, an ESPN Report says the Packers signed defensive tackle Letroy Guion to a three-year deal worth $11.25 million. The 28-year-old Guion missed the first three games of the 2015 season, serving a suspension as a result of an off-season arrest last February. 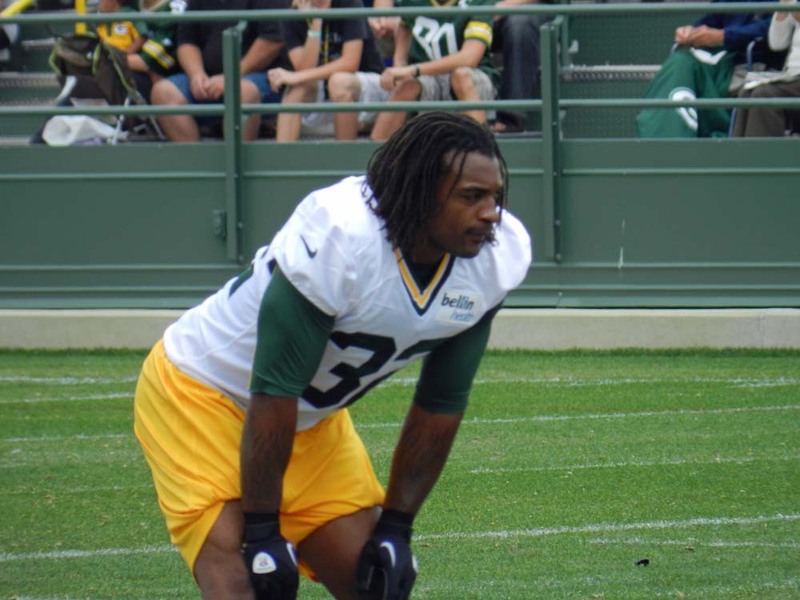 Guion wound up pleading no contest to possession of marijuana and paid a $5,000 fine. 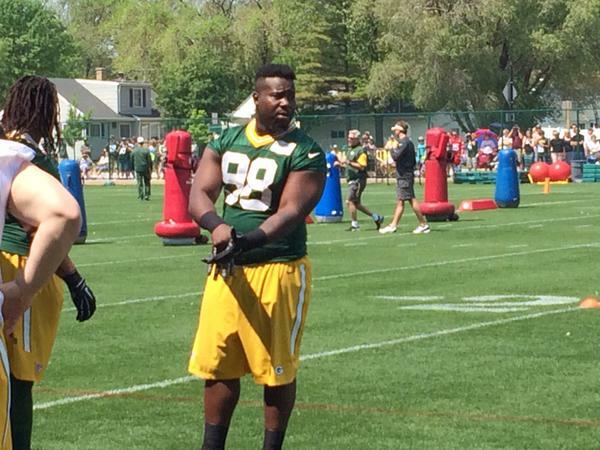 Those issues led to Guion playing last season on a one-year deal worth $2.75 million. Following his suspension, Guion played in every game for the Packers last season, including the playoffs. Guion finished the regular season with 21 tackles, but he failed to record a sack. B.J. 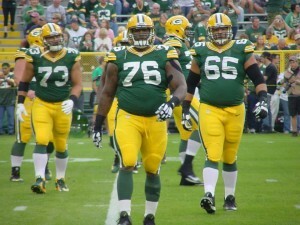 Raji, the Packers started nose tackle last season, is set to become a free agent in March. Green Bay Packers defensive end Mike Daniels signed a four-year contract extension with the team today, worth a reported $42 million. Daniels didn’t become a full-time starter until last season when he recorded 69 tackles and 5.5 sacks. 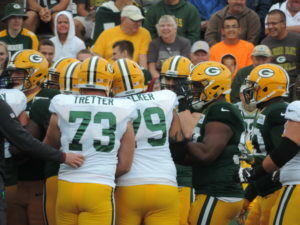 Sunday was the second day of workouts for the Green Bay Packers during training camp and defensive lineman Mike Daniels chewed out some of the offensive guys for getting too physical during a drill that was supposed to not have any contact. Daniels spent the rest of the workout and rest of the day for that matter, promising payback. Daniels said he thinks the mentality of the defense has changed and that putting on the pads won’t be seen as a chore. 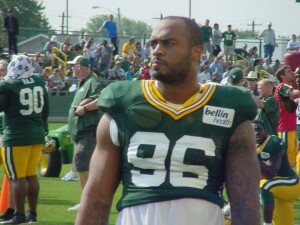 Detroit Lions, the Green Bay Packers signed defensive tackle Jordan Miller off of their practice squad on Tuesday. The Southern University product could get his first taste of regular season action on Sunday when the Packers face the Chicago Bears in Chicago. returns to face his old team tonight. Benson gets his first game action as a member of the Green Bay Packers.